Author information of co-authors and corresponding author. Your manuscript is written according to Author Guidelines. Spellings and grammar are correct in the manuscript. Table and Table legends, Figure and Figure legends. Along with the manuscript the contributors should submit a Cover Letter. All authors have confirmed that our manuscript entitled as “Manuscript Title,” has not been published elsewhere and it is not under consideration for publication in any other journal. We confirm that our manuscript is approved to publish in the journal. I have reviewed the Article Processing Charges and agree to arrange for the funds. Manuscript title should be limited to 25 words or less, and it must describe the contents present in the article. Full names and affiliations of all the authors of the manuscript should be given in the manuscript or in the cover letter. It’s mandatory to mention corresponding author details (live address with Telephone, Fax and E-mail address) in the manuscript. The abstract should be informative and completely self-explanatory (avoid using references), briefly present the topic, state the scope of the experiments, indicate significant data, and point out major findings and conclusions. The abstract should summarize the chapter content in 300 words or less. Standard nomenclature should be used and abbreviations should be avoided. The preferable format should accommodate a description of the study background, methods, results and conclusion. Abstract is followed by a list of keywords (3-10) and abbreviations should be included, below the keywords. Introduction has to set the tone of the manuscript by explaining a clear statement of the study, the relevant literature on the subject and suggested approach or solution. Introduction paragraph should explain wide range of scientific fields, so that it should attract the scientific readers. A complete outlook design of the study should be provided in this section. Detailed descriptions of participants or materials used, types of analysis and interventions, comparisons should be mentioned. However, a detail explanation should be given only for new procedures; previously published procedures should be referred and important changes of published procedures should be mentioned briefly. Name and address of the manufacturer to be included and also capitalize the company names. In Materials and Methods, Methods segment should be subdivided by short striking headings referring to the methods utilized, reagents and animal models, subsections for statistics are also considered. There ought not to be duplication among Methods segment and the Supplementary Information. To support the conclusion of the study, results part should provide every detail of the experiment that are required. The usage of the results should be in past tense when describing the findings in the author’s experiments. The findings published previously should be written in the present tense. Results and discussion may be combined or in a separate section. Speculation and detailed interpretation of data should be put into the discussion section. It includes acknowledgment of people, grant details, funds, etc. Only accepted or published papers should be included in the reference list. Conference talks, Meetings abstracts, or papers that had been submitted but not yet accepted, should not be cited. All personal communications should be supported by a letter from the relevant authors. NorCal Open Access Publications uses the numbered citation (citation-sequence) method. References are listed and numbered in an order that they appear in the text. In the text, citations should be indicated by the reference number in brackets. Multiple citations within a single set of brackets should be separated by commas. When there are three or more sequential citations, they should be given as a range. Example: “... now enable biologists to simultaneously monitor the expression of thousands of genes in a single experiment [1,5-7,28]”. Make sure the parts of the article are in the correct order, before ordering the citations. Figure captions and tables should be at the end of the article. In the authors list, five or less, then year published, continued with article title, journal abbreviation, volume and page numbers after. Ramazanoglu N (2012) Effectiveness of protective foot and forearm guards in Taekwondo. Arch Budo 8: 207-211. Pieter W, Lufting R (1994) Injuries at the 1991 Taekwondo World Championships. J Sports TraumatolRel Res 16: 4-57. Koh JO, de Freitas T, Watkinson EJ (2001) Injuries at the 14th World Taekwondo Championships in 1999. Int J Appl Sports Sci 13: 33-48. Pieter W, van Ryssegem G, Lufting R, Heijmans J (1995) Injury situation and injury mechanism at the 1993 European Taekwondo Cup. J Hum Movem Stud 28: 1-24. Kazemi M, Chudolinski A, Turgeon M, Simon A, Ho E, et al. (2009) Nine year longitudinal retrospective study of Taekwondo injuries. J Can ChiroprAssoc 53: 272-281. Eschenbach DA (2004) Endodermatities and it’s Medical Applications. In: Gorbach SL, Bartlett JG, Blacklow NR (eds.). Midwifery, Women’s Health and Nursing Practice. (3rdedn), NorCal Open Access Private Limited. California, USA. Pg no: 127-139. McGregor A, Liebelt J, Schleiss M (2009) Humanizing the Guinea Pig Cytomegalovirus (GPCMV) antiviral model by generation of a chimeric virus encoding HCMV UL54”. 12th International CMV meeting, Boston, USA. Panel on Antiretroviral Guidelines for Adults and Adolescents (2008) Guidelines for the use of antiretroviral agents in HIV-1-infected adults and adolescents. Department of Health and Human Services. Suggested formats for figures/images should be in bitmap formats (JPEGs, GIFs, TIFFs, etc.). Please try to send us the Photoshop indexes, in case the pictures need any differential segments on distinctive layers. Use numerical to designate figures (e.g., Figure 1: Legend of the figure). Include justifiable description, if required. During manuscript submissions, figures/images are supposed to be at sufficient quality, JPEGs are preferred. Tables can be included in the text, if not submitted as a separate file (MS Word or PDF), oriented in portrait form (not landscape) and upright on the page, not sideways. Use numerical to designate tables (e.g., Table 1: Legend of the table). Include justifiable description, if necessary. Suggestions received from the contributors, former or latter the publication process, are allowed and he/she should ensure that the corrections are clearly understandable. 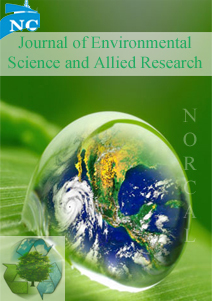 NorCal Open Access Journals follow open access publishing model as a platform to publish articles online and follow double blind peer review process to process the articles. Once the manuscripts published online are immediately free to read, free to download without any subscriptions. In open access publishing model authors pay the fee for their manuscripts from their research fund or their supporting university/institution/organization. NorCal Open Access Publications charges Article Processing fee for the manuscripts received. Once a manuscript is submitted and accepted for further publication then an invoice will be sent to the author and the payable fee becomes due. Author should be responsible for the article processing fee. Payment of this fee allows us to recover editorial and production costs and create a pool of funds that can be used to provide fee waivers for authors from low income countries. We always encourage our authors to publish their manuscripts with us and don’t wish the cost of publication processing fees to be an insurmountable barrier especially to authors from the low and lower middle income countries. A range of discounts or waivers are offered to authors who are unable to pay our publication processing fees. Authors from middle income countries may apply to receive up to 50% waiver of the standard article processing fee. Authors who receive the support (funding) then they will be asked to pay the full article processing fee. If author wants to withdraw his/her manuscript which is already undergone most of the article processing then he/she should have to pay 30% of the publication fee to cover up editorial expenses.